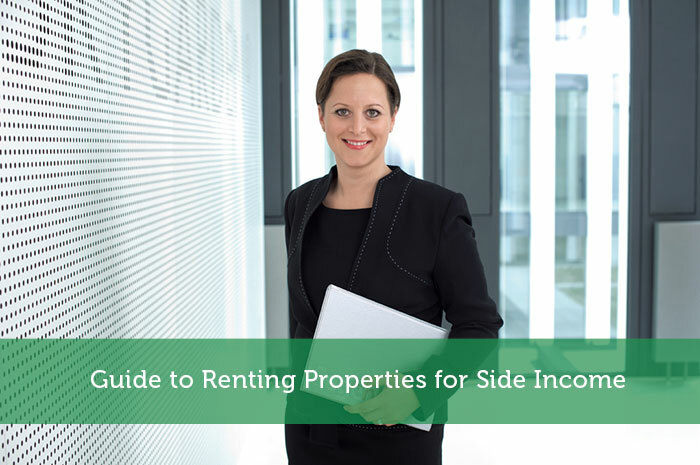 The following is a guest post about the guide to renting properties for side income. If interested in submitting a guest post please read my guest post policy and then contact me. Congratulations! You have just become a landlord or are considering purchasing your first property. This is a great step to becoming financially independent and controlling your own financial destiny. However, starting out as a new landlord can be full of pitfalls and tough lessons. Here are 7 tips to help you get started on the right path. If you are still searching for rental property, you want to aim for the nicest location your budget will allow. In general, nicer neighborhoods will attract better renters, which means fewer headaches for you. You should consider the proximity to schools, parks, public transportation, and neighborhood amenities. It’s also good if the property is close to your own home or office if you will be self-managing it. You could start out with a generic lease, but it would be wise to spend some money upfront to have your lease reviewed by a legal professional. This will help you uncover any weak spots and could save you thousands in the long run if your lease is ever contested in court or you need to evict a tenant. All things being equal, the tenants you rent to will make or break your landlord experience. That’s why it’s critical that you take your time to find qualified renters. Use tenant-screening software to check your prospective renters’ credit and make sure they do not have any evictions on record. You should also set out qualifying standards in writing so that if you do have to reject an application you can be protected against discrimination claims. Liability insurance is another instrument you will want to invest in. This will protect you in case someone is hurt while living in or visiting your properties. You will also want to make sure it covers dog bites on your property if you allow pets. The dream with rental properties is to earn passive income where you can “set it and forget it”. If you have great tenants, this is a possibility when you use online rent collection software. These services let tenants pay rent online and the money gets deposited directly into your bank account. You can also automate late fees so you’re not leaving money on the table if a tenant pays the rent late. Rent specific software will also send rent invoices and give you the option of adding line items for things like utilities. Having a community to share ideas with and learn from is priceless. See if there is a local association in your area to join. This is a great way to learn from other people without having to experience all of the difficulties yourself. Plus, there may be opportunities for more business or partnerships. 7. Be prepared to put in more work and money than anticipated in the beginning. Becoming a property owner is exciting and first time landlords often underestimate the amount of time and money needed when they first start out. However, taking your time to choose the right property and tenants will greatly impact the amount of work you have to put in down the road. One way to help keep your out of pocket expenses down is to stockpile any income you receive from rents for the first few years. This money can be used for necessary repairs or unexpected vacancies between tenants. Generating side income with rental properties does not have to be difficult and with these tips you will be well on your way to a successful career as a part-time landlord. Plus, when you’re ready, you can use the money and equity generated from your first property to invest in more rentals. Great tips! I’m looking forward to becoming a landlord in the future and will keep this list handy. Be prepared to put in more work than anticipated. OMG is that a true statement. And the work might come at the most inconvenient times, like when someone locks themselves out of the house at 2AM and calls you for an extra key. Or you are getting ready to go on vacation and they call to tell you the basement is flooded. Too many people think that having rental property means the rent checks just flow in, but believe me there are sooooo many downsides to owning rentals. Everyone should think long and hard before undertaking this investment. I’m curious as to what kinds of qualifying standards you can and can’t list out? We will (hopefully become landlords in 3 years, so this is really helpful! Great tips. I’m not a homeowner yet but we’re almost there. Our plan is to get our house first and then get a rental property… that will probably take some time, but I’ll keep these tips in mind. From my own experience, the hardest part of investing in rental properties is managing them, especially if you are doing it yourself. I’ve been a landlord for more than 10 years and I manage all of my rental properties myself. It works for me because I’m quite handy, so I can fix many little things without hiring someone. It also helps that I’m self-employed, so when there’s a problem I can be there pretty quickly. I agree that it’s good to invest in properties near where you live, it just makes managing a little easier. I’m not a homeowner just yet but I hope to be in the near future. I know it’s not easy but your tips definitely put things into perspective. I have rental properties and I don’t manage neither of them. I know that the managers might keep some money for themselves, but I they do what I don’t like to do which is to care about the troubles involved in the maintenance. I think that the bullet points described here are accurate and what is specially true is that you need to make a right decision when you buy it. it is a must to select a property that has an active working population and I would add that the best properties are those cheap renting properties under 1000$, because I have a hard time renting properties of over 2000$. The cheaper the better and also be careful with the quality of the tenant you are renting to. I was lucky in that I found a great tenant for my rental. It was hard to turn down the first person offering to pay me to live in my house, but looking back, I’m glad I held out for a more stable tenant. This guide is very helpful for those who wants to have a side income renting property. But before you engaged or enter this kind of business you should think many times if you can manage all throughout. If I can afford to purchase a house for rent well its more income for me because I know lots of people who looking for a house for rent. Great article Adam. Great article! Point 6 is true, you need to find a community. I think that Biggerpocket the perfect solution for that matter. Many landlord missed the number 4. This is sometimes the cause to lose your assets when there is accidents happens. Liability insurance is very important to shield your rental properties against litigation or uncertainties. We had a rental property before, but my mother decided to sell it because we had a problem with our tenants. And it’s very difficult to manage a long distance rental property.